In 2016, Big Car Collaborative took the Wagon of Wonders up and down the White River Watershed from state park to state park throughout the warmer months of 2016 – all thanks to Indiana Art Commission’s Arts in the Parks grant. The Wagon of Wonders is a mobile community artspace, gallery, and bait shop on wheels that started its parks tour at Fort Harrison State Park, making appearances from late May until mid June 2016. The WOW visited McCormick’s Creek State Park’s centennial celebration on June 25, and also visited the walkers, runners, and bikers of Mounds State Park on October 30, 2016 with some spooky festivities in the spirit of Halloween. 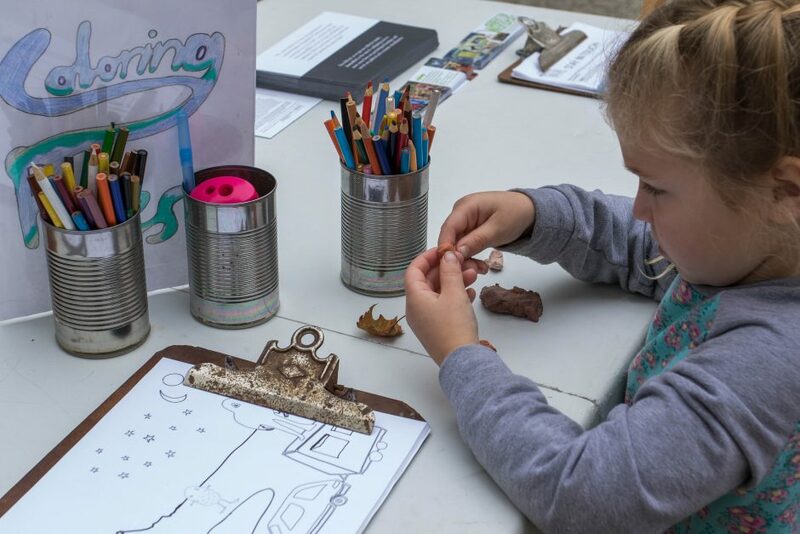 Visitors enjoyed free face painting (adding to the collaborative exquisite corpse drawing) and creating their very own PUK-WUD-JIE (clay figurines in the shape of forest creatures). 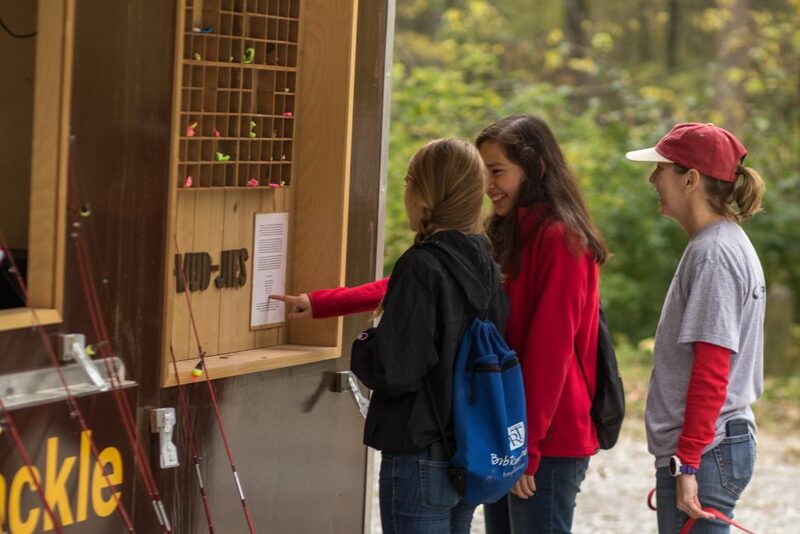 Park patrons were also encouraged to borrow a pole from the pop-up bait shop to learn the park’s waterways, explore nature and think about our connection to it. Jasmine, a young woman who brought over her nephew and cousin for face painting, commented on the interactive pop-up art unit saying that the Sasquatch had caught her eye, but once she came over and realized there was face painting, a coloring table, and other family friendly activities, she couldn’t get the kids to leave.